Thursday 6th Nov 12bootcampers (5competitors and 7 as support crew) from Phoenix Fitness hit the road to make their way to Miss Galaxy Universe in Crawley. After some very stressful journeys, we all arrived Thursday evening at the host hotel to register. The support crew went for a nandos while the competitors prepared for the day ahead… We weren’t at all jealous… Honest! Friday morning was final preparations for The Games… It started with the bleep test, moving into the 3in1 test (3minutes to accumulate as many reps as possible from press ups, squat thrusts and sit ups), next came box jumps (as many reps as possible in 1min), before moving onto the car pull and finishing with the 200m sprint. Pull ups were a bonus station we could jump on at any point. Other than a slight wardrobe malfunction (Hannah nearly lost her leggings in the box jumps), all went smoothly until we got outside. It had been raining all day which made the grip for the car pull harder but by the time we got to the sprints it was hammering down with rain, the wind was blowing hard and we were all shattered and ready for it to be over with! Everyone dug deep and a gave it everything they had… Beth and Jenna won their heats and Helen (one of our support crew), really got caught up in the moment as she yelled, ‘Run Jenna, run with all your heart!’ At this point we all stopped cheering for Jenna to look blankly at Helen for a moment before bursting into fits of laughter! As the last of us finished, the atmosphere was euphoric… To say Hannah was proud of her girls was an understatement! There wasn’t much time to relax when we got back to the hotel… Eat, shower then straight in for stage tans… This was an interesting experience to say the least… 100 or so girls queuing up to be tanned – naked – before drying out in a room with about 8 other naked women – safe to say we all got to know each other a lot better that night! Also, FYI… The naked tan dance is a real thing!! Finally it was show day… There was no time for nerves as Steph and Hannah worked away at everyone’s hair and make up. Before we knew it we were there, all lined up ready to go on stage. Hannah, Jess and Steph were all in the beach body 18-32 category with ‘Sirens of the Sea’ theme, and Beth was in Miss Monroe category with ‘Hollywood’ theme. 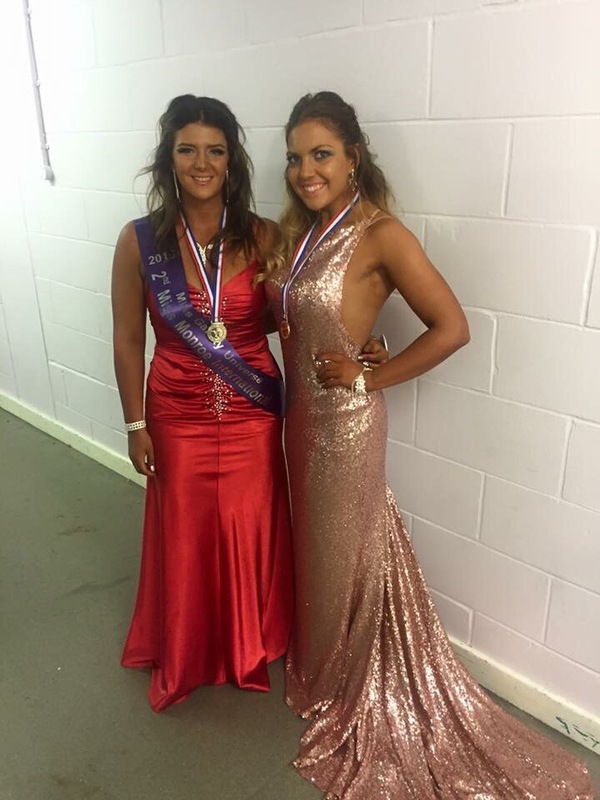 First was our bikini T Walk and then a quick change before going on again in our evening wear. Hannah placed 5th in her category and Beth came 2nd in hers. It was all over… Months and months of hard training and dieting had finally come to and end… Back to the hotel we went to celebrate with pizza! So what next?!?! 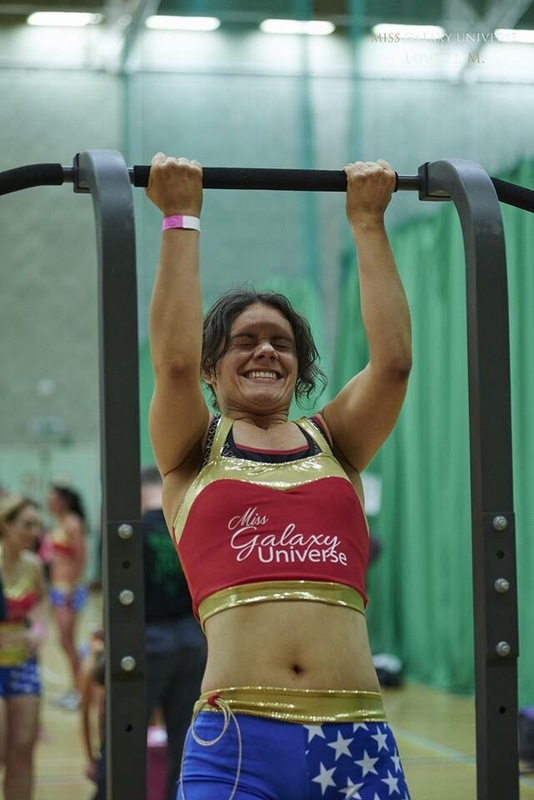 Hannah is training for her first Strongwoman comp in January before they all take on the Silverstone Half Marathon in March. But… We’re all coming back next year; bigger, better, faster, stronger! 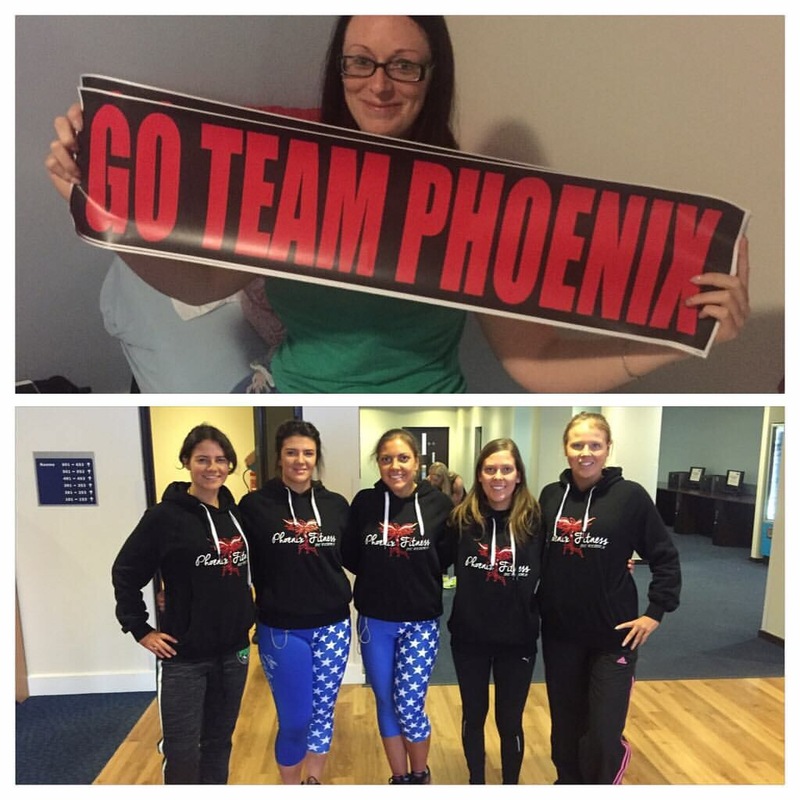 And even more of the Phoenix Fitness crew will be joining us! Beth plans to compete as a Beach Body next time, Jess and Steph are working hard for their abs and Hannah might even make the leap to go for Fitness Model! 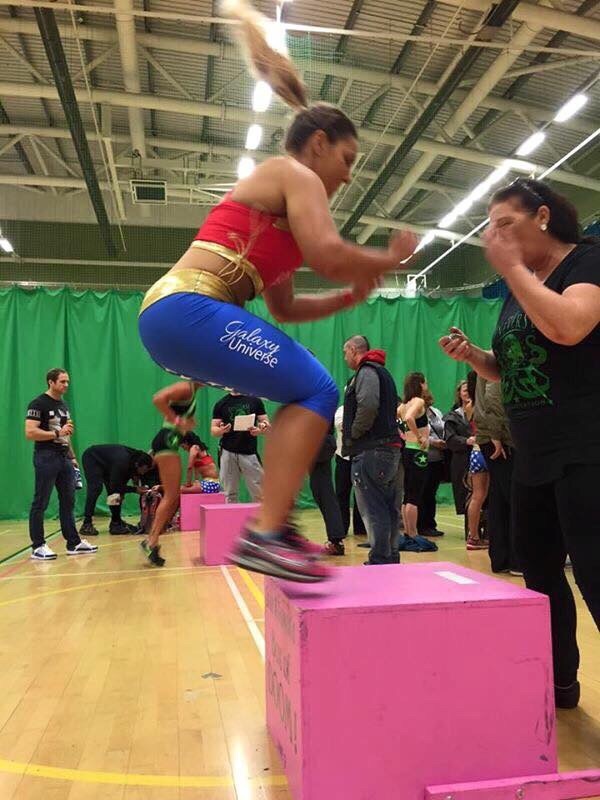 This entry was posted in Fitness, Team Evo and tagged bootcamp, Evolution Gym Sheffield, galaxy girls, galaxy universe, Phoenix fitness, sheffield, Team Evo on November 28, 2015 by billybicep. Its going to be flipping amazing!! Watch this space for more details of the next Team Evo Event. We are on it this year and have, as a group, raised hundreds for various charities. The next event is Flipping Amazing, our resident strongman who is pound for pound strong as a strong man from strongville, Adam, is going to attempt an endurance feat like no other. For approx 4 hours on Saturday 19th December 2015 Adam will flip a tyre (320kg) as many times as he can. I cannot even do it once and it is a monster of a tyre. The effort this will take cannot be overestimated. Details of how you can help and take part will follow shortly, but if you see Adam in the gym remember to give him some motivational input, a grunt or huraahhh or just a pat on the back. This entry was posted in General, Strongman, Team Evo and tagged fundraising, Strongman, Team Evo on November 26, 2015 by billybicep. Friday the 13th this year saw Children in Need raise a record amount of £37.1million pounds. This amazing amount did not include the £185 raised by the amazing members of Evolution Gym. Following a year of abstinence for some of our bodybuilders and slimmers, Team Evo dropped the shakes for cakes and had a bake off. 10 bakers took to the kitchen to bake amazing creations to be judged for the coveted prize of Team Evo Master Baker 2015. This was the first time the prize was awarded but the intention is to repeat this each year so we can see if the winner this year can defend the title. The bakers each paid £2 to bake and then the awesome membership of the gym each donated to eat the baking over the next few days. The creations were brought to the gym on Thursday and the judging took place last thing on Thursday evening. Our esteemed judging panel was made up of Local Boxing Hero John “Buster” Keeton and his son Joe. The duo took the task extremely seriously being watched carefully by the gathered bakers. Comments were made on texture, taste, look and colour. In true, Mary Berry style, the crumb was examined in depth. Although the judges credited plus points in all the creations the winner was unanimous. We had a bicep cake – double baked and showing innovation and flare, some toblerone cake which was a crowd pleaser, the peanut butter fudge cake and cookie and oreo brownies sweet and so good they were even accused of being bought, peanut butter balls that were covered in chocolate and shaped like a cup-cake, a pudsey bear multi coloured sponge – commented on for decoration, a red velvet number fluffy and an appealing judge favourite, a flower covered velvet cake looking and tasting great, millionaire shortcake that sold like hotcakes and finally a moist yet light carrot cake that took the crown. Alex Stocks was crowned the first ever Great Evo Bakeoff Master Baker, well done Alex. The cake was so good it was all bought in the first evening and raised £20 on its own for Children in Need. The competition was a great buzz and all in a great cause, see you again next year when I turn my oven on for the second time and bake a masterpiece, watch out Alex!!!!! This entry was posted in General, Team Evo and tagged Children in Need, Great Evo Bakeoff, Team Evo on November 23, 2015 by billybicep.